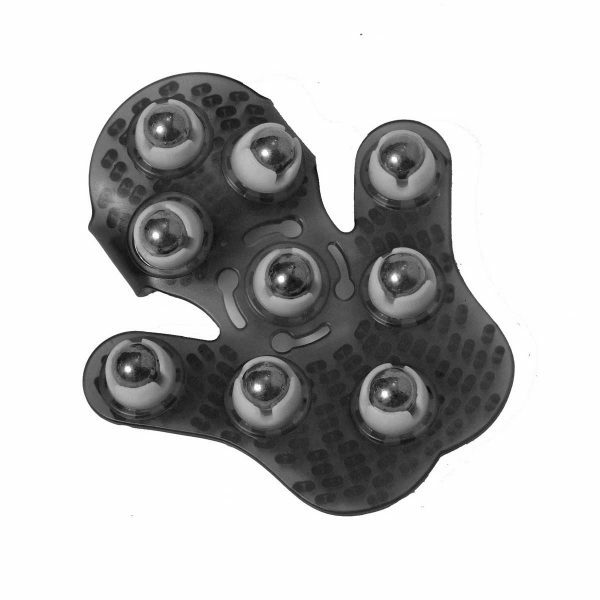 Zap body glove with 9 tungsten balls rotating at 360 degrees, promoting efficient massage. 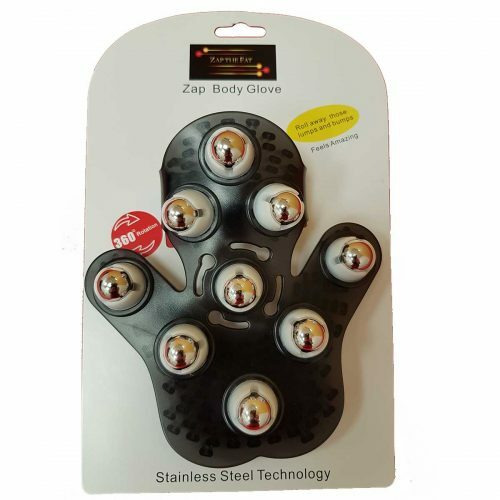 The Zap The Fat Glove has an ergonomic and easy-to-handle design. Apply on clean skin with circular motions. You may use a cream or oil for easier gliding of the body. This can be used daily for 10 minutes. Wipe with a clean, dry cloth after using. Do not apply to injured skin. Do not use if you are unsure of a skin condition or body concern. Seek medical advice if required before using. If you are prone to bruising or have weak capillaries do not apply excessive pressure. Specifications: Material – floppy silicone and tungsten ball. One size fits most. Flexible hand fit with adjustable strap.